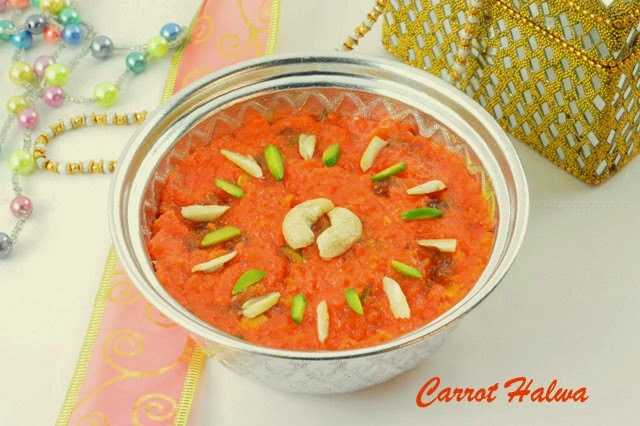 Carrot Halwa/Gajar Ka Halwa is a traditional Indian sweet and it very famous in Punjab. 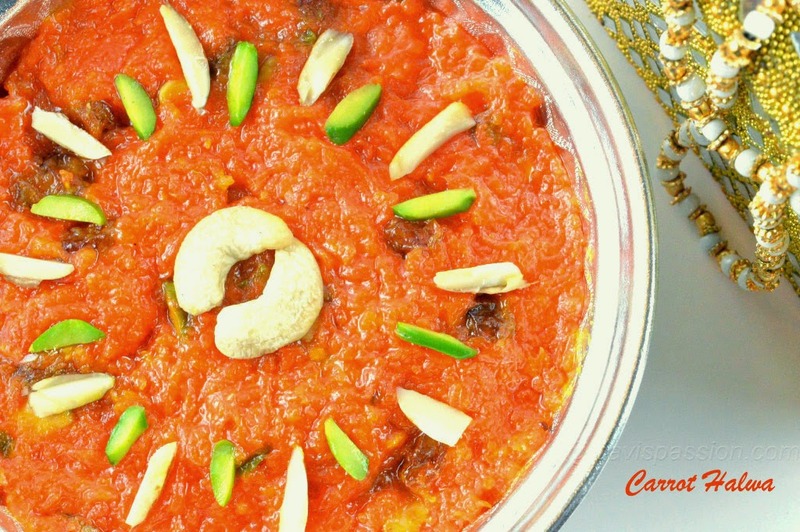 It is the simplest halwa with very few ingredients which we have at home. This is my first tried sweet when i have started cooking. I love to make this sweet because of its simplicity. It is healthy, easy and tasty sweet which make us tempt to eat. Try this easy sweet and let them enjoy with your family..Holi special sweet...happy holi..
1. Grate the carrot in carrot grater. Take a Non stick or heavy bottomed pan, heat 1 tsp of ghee into it. Roast Cashews and raisin until golden brown and keep it aside. 2. 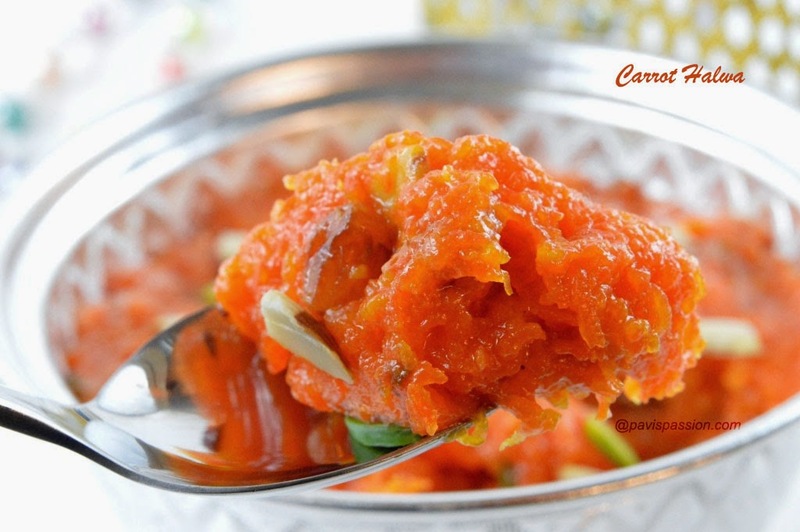 Heat 1 tsp of ghee in the same pan, Add grated carrot and fry them for 3 mins. Then Add the required milk and let them to simmer and cook the carrots in the milk. 3. Stir occasionally, add cardamom powder and salt to it and cook the carrot in the milk. When the milk get evaporated and carrot gets cooked then add sugar and stir well. 4. Then stir continuously when the sugar dissolves add ghee to it and mix it well. Stir continuously until it starts leaving sides. 5. 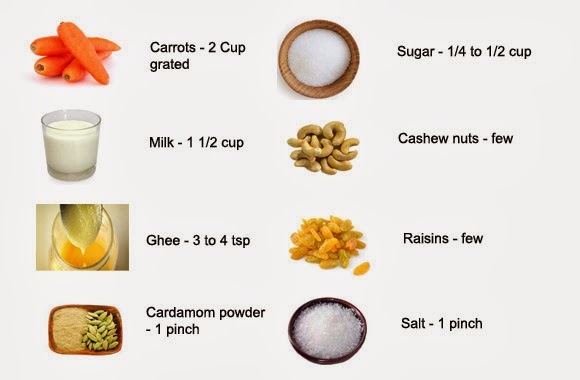 When it starts leaving side add fried cashew nuts and raisins and mix well then switch off the stove.